In my article ‘Blockchain in a Nutshell’, I have mentioned Merkle tree as one of the metadata in a block of the blockchain. 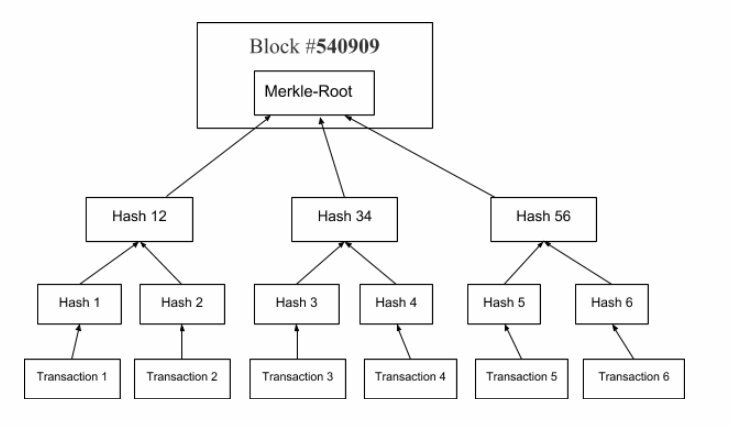 What actually is the Merkle tree? In computer science, the Merkle tree is a branching data structure that is used to store hashes of individual data in a large dataset. The purpose is to make the verification of the dataset efficient and fast. It is an anti-tamper mechanism to ensure that the large dataset has not been tampered with. In blockchain, the Merkle tree(also known as the hash tree) encodes the blockchain data in an efficient and secure manner. Every transaction occurring on the blockchain network is subjected to a hashing algorithm to produce a hash, as shown in the figure below. Therefore, every transaction has a hash associated with it. As there are thousands of transactions stored on a particular block, it will be very time consuming if every node has to deal with hundreds of thousands of transaction across the blockchain, synchronization and mining will take a long time. To solve this issue, all the transactions hashes in the block are also hashed. As illustrated in the following figure, two hashes are hashed into a single hash. The Merkle Tree structure will enable the quick verification of blockchain data and quick movement of large amounts of data from one computer node to the other on the peer-to-peer blockchain network. Previous Previous post: How to achieve Proof of Work? Next Next post: What is Ethereum?